Comes with Certificate of Authenticity which guarantees the provenance. 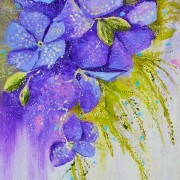 Bright Vivid Colors: lavender herb purple, aquamarine blue, dusk blue, fresh lime green, white. 2015 color trend – plein air. 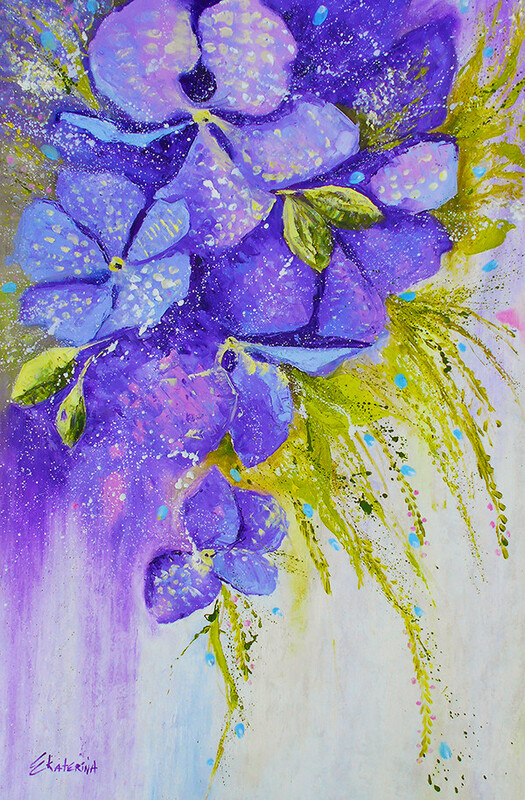 This painting is made-to-order: original has been sold, and I will create a similar painting especially for you. +Buy directly from the artist. +Tracked shipping worldwide – by air mail.